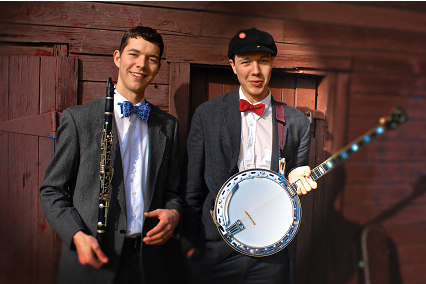 The Brothers Arntzen play sweet and hot music for dancers and listeners alike. Raised in the New Orleans style of jazz music by their grandpa Lloyd Arntzen, the brothers have developed their own, joyful sound derived from this musical tradition. The Brothers are on a mission to bring this timeless music to people aged 2 to 95, playing in schools, dance halls, concert halls, pubs, clubs, living rooms, and in the streets, the Arntzens demonstrate that jazz was conceived in joy, and like to make sure that the audience has as much fun as they do.